The U.K.'s Association of Teachers and Lecturers is gearing up to lobby for more "stringent legislation" on videogames because parents aren't being careful enough about what their kids are playing. Fair is fair: It's probably not a good thing to let an eight-year-old play Grand Theft Auto 4 for hours on end, every day of the week. But the Association of Teachers and Lecturers in the U.K. takes that point a little too far, I think; reminding parents that it's a good idea to keep an eye on what their kids are playing is one thing, but suggesting that they're making a mess of it, and that the government needs to step in as a result, is something else entirely. "It's about reminding parents and carers that they have a very real responsibility for their children and that schools can't do it alone," said ATL chief Dr. Mary Bousted. "It takes the very serious and labor-intensive business of proper care and attention of young children before they go to school and while at school to allow them to learn most effectively." "If they're up to 12 or one o'clock playing computer games, and coming to school exhausted, not interacting with other children, that's not good preparation for school, and not good preparation for life," she continued. "The fact that children spend hours locked in their rooms playing computer games, which means they're not interacting, they're not playing and not taking exercise." 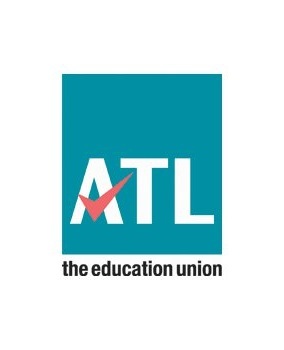 Hard to argue with that, but the ATL is going beyond simply reminding parents of their responsibilities by seeking to commission research which will ultimately allow it to request more "stringent legislation" of videogames by the U.K. government. The nature of the research and what form of legislation the ATL is seeking wasn't revealed.